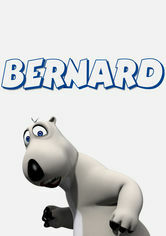 Bernard (2004) on Netflix USA. Check worldwide Netflix availability! If Bernard isn't available in your country, or you are visiting a country where it isn't, there is still a way to watch it! Join Bernard, the polar bear without fur, as he leaves his frigid homeland to travel the world, play sports and have comical adventures. This silly bear knows how to have fun no matter where he goes, and he'll make you laugh right along with him.